Mrs. Mary White Standafer, age 96 years and 8 months went home to be with the Lord on Sunday, January 20, 2019 at the Landmark of Laurel Creek Health Care Center. She was born on Monday, May 29, 1922 in Hima, Kentucky to B. F. and Lydia Valentine White. She was a homemaker and a member of the Macedonia Baptist Church. 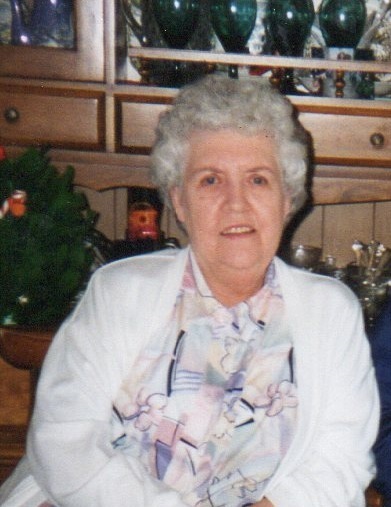 She leaves to mourn her passing her son: Frank Standafer, her daughter: Joyce Ann Farmer, 5 Grandchildren, several Great Grandchildren, her sisters: Alma White Brumley and Louise Marcum as well as several special nieces and nephews. She is preceded in death by her parents: B. F. and Lydia White, her husband: Stuart Standafer, her sister: Verda Harris and her brothers: Pearl Glenn White, Bryan White and Ben White. A celebration of life for Mary White Standafer will be conducted on Wednesday, January 23, 2019 at 1 PM at the Rominger Funeral Home Chapel. Suzanne Standafer Wright and the Honorable Clint Harris will be presiding. She will be laid to rest next to her beloved husband at the Macedonia Cemetery in the Burning Springs Community. The family will receive friends and loved ones on Wednesday after 12 PM at the Rominger Funeral Home Chapel.